Diplomatic-Security Cabinet discusses bill to sentence terrorists to death. 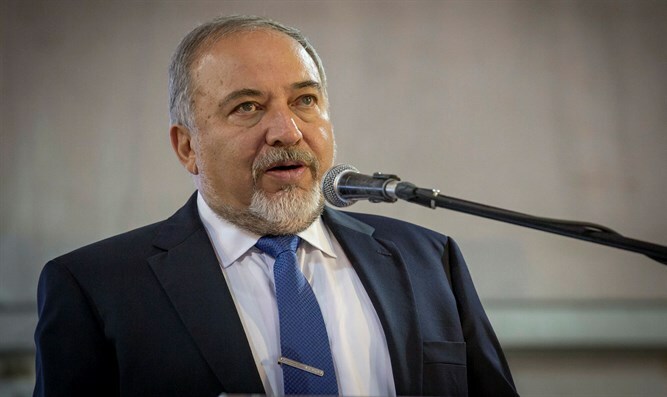 Defense Minister Avigdor Liberman (Yisrael Beytenu) expressed hope that members of Israel's Diplomatic-Security Cabinet will support the bill mandating the death penalty for terrorists. The Cabinet will discuss the bill on Wednesday. "Finally, the law mandating the death penalty for terrorists will be decided on," Liberman said. "I am sure that my colleagues, the ministers, understand that we need to use every means in our war against terror." "A terrorist who slaughters a family should not go home. There's no reason we should be more enlightened than the US and Japan in our war against terror." MK Robert Ilatov (Yisrael Beytenu), who initiated the bill, said earlier this month that, "Contrary to the claims of those who oppose this bill, we see that in the most enlightened countries, such as the US and Japan, the death penalty is an effective punishment for terror."